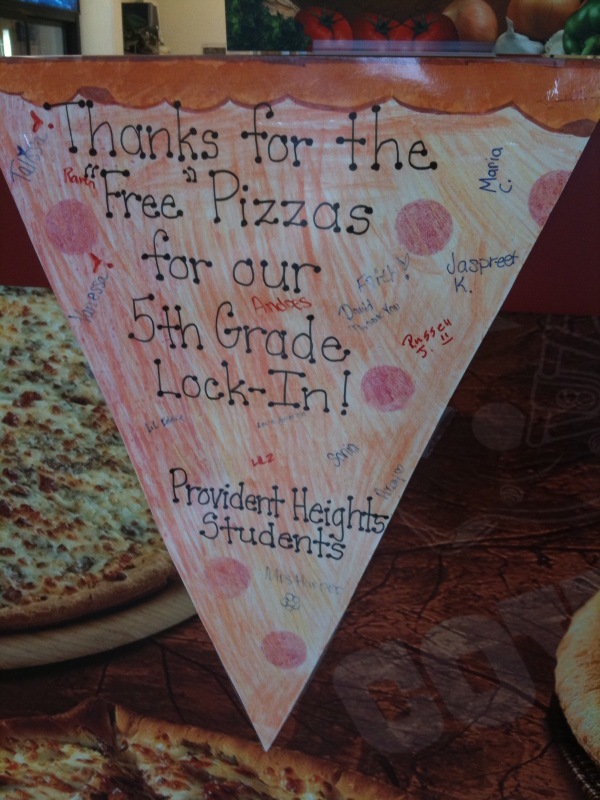 Submitter Patrick writes: This sign made me wonder what the kids had to do to get pizza at their party. Italian food yearns to be free. I suspect they actually charged these kids for their food, but that there was some "deal" that the pizza place worked in to enhance its image among the area parents. Apparently it was written by a "teacher." I hope that when I have kids, they get teachers who understand punctuation.